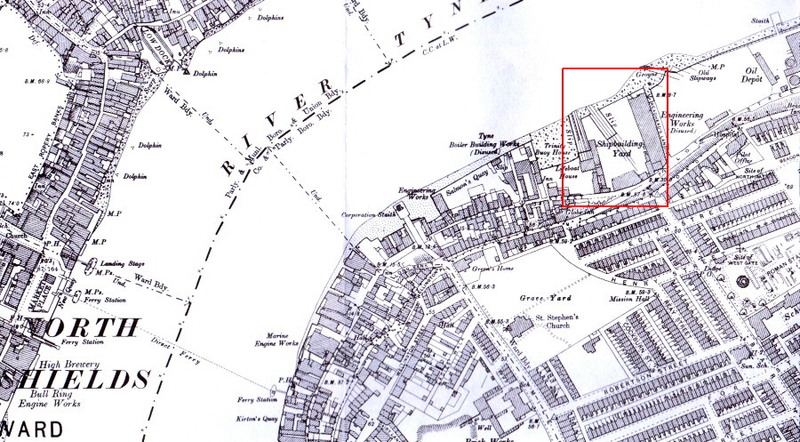 The above map is from the Ordinance Survey of 1897 and shows the yard at the end of Baring Steet, which still exists today. The above photo, taken from the river, shows the Rennoldson yard in about 1914. 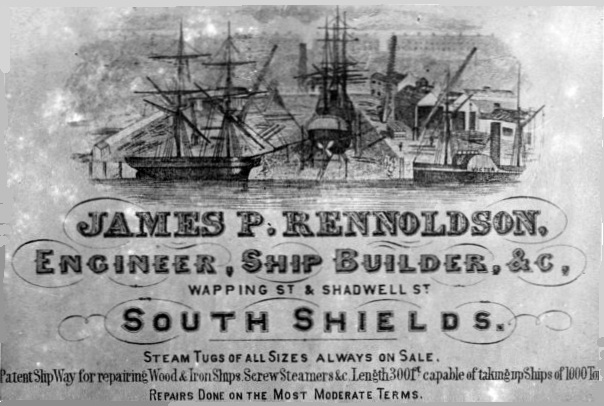 Photo copyright of Newcastle City Libraries.